Are you Marketing your Brand the right way? Primehouse Media has just launched a new program called PPC Max. Primehouse Media PPC Max is our rebranded PPC service which focuses on complete transparency in budget and reporting. We understand how important your PPC results are to you. That’s why we focus on more than just traffic, but the correct traffic that will bring measureable results for your business. What makes PPC Max different? We focus on more than just traffic and clicks, but on providing real results for your business. Each month, we’ll send you customized reports that show you exactly what’s going on with your campaign and what kind of progress is being made. We’ll also give you some tips of what we will do to optimize your campaign in the coming months. PPC Max provides flexibility for your company with a minimum campaign term of just one month. Run your campaign for as long as you like, or cancel with just a one month notice. You can also increase or decrease your ads budget at any time. If you have a specific sale or event that you want to promote, you may choose to increase your budget for a set amount of time. PPC management is an on-going process, which includes research, building, and consistently maintaining and optimizing your ad accounts. Ad platforms can be highly complicated, and are consistently changing. There are multiple types of ads and ways to advertise, each providing its own benefits. Our PPC service includes monitoring each of your ads, campaigns, and targeting methods to maximize the results of every dollar spent. Our PPC team consists of technical specialists, web developers, graphic designers, copywriters and more! This ensures that we have the right people with the right combination of skills to achieve successful results for your PPC campaign. Whether you’re spending 10 milllion Rupiah per month 300 million Rupiah per month, we can help businesses like you to streamline your online ads and make the most of your online marketing. 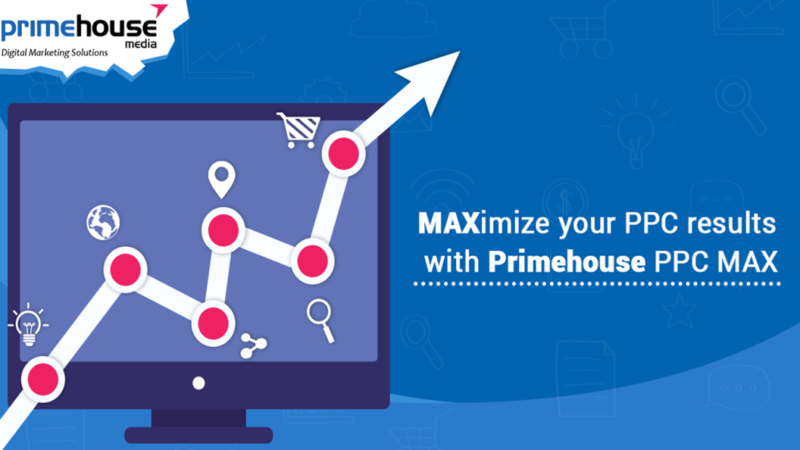 Primehouse Media PPC MAX is currently available in Indonesia and Singapore. Ready to get started? Sign up Now.